02 LM R and R Rear Turn Signal assemblies? Well this evening I was trying to simply remove the left rear tail light assembly but to no avail. Does the whole tail section need to be taken apart to do this? 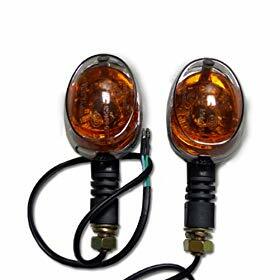 And just for giggles are there better turn signal assemblies that do not stick out as far? I'm stoked with these little LEDs in the rear. If you keep the stock incandescent bulbs up front you don't even need to buy a resistor to make the LEDs flash correctly. 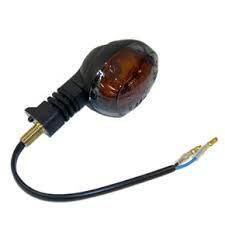 They are almost plug and play... but the plugs aren't the same, so you need to do a little wiring. You will need to remove the painted tail section to get at the wiring connections. From there, you can see what needs to be done to remove the signals. Thank You for letting me go on rambling lol. Hard to believe that one has to remove the tail section and the underside access plate in order to simply replace a turn signal assembly. But Yeeeeeeeeeeee Hawwwwwwwwww it is done. 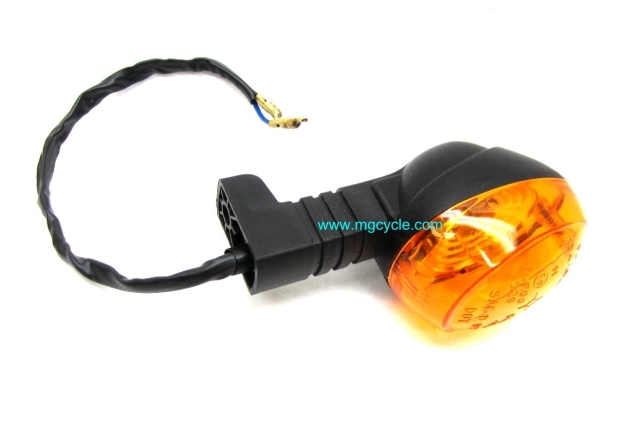 Well at least for now lol..
A note for anyone else researching the replacement of V11 turn signals; the signal mounts on this era of Moto Guzzi products has a "foot" with a separate screw mount versus using the hollow shaft of the signal as the mounting point like most typical OEM (other manufacturers) and aftermarket signals. 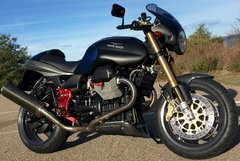 In many cases to attach a more standard style signal, especially aftermarket, one often has to enlarge the hole in Moto Guzzi body work to allow the larger shaft to pass through what was a smaller wiring hole. But good news is that Moto Guzzi wasn't the only manufacturer using this style of signal. Ducati at the very least was another that used this style for some of their bikes, so the aftermarket for them is larger and thus one may find a signal marketed for a Ducati that will bolt right on to the Moto Guzzi with no modifications. Buell used the same unit, used to be available at your local Hardly dealer for like 7 bucks. Don't know if it still is. MZed used it,too.Just go to your local. .oh,never mind. 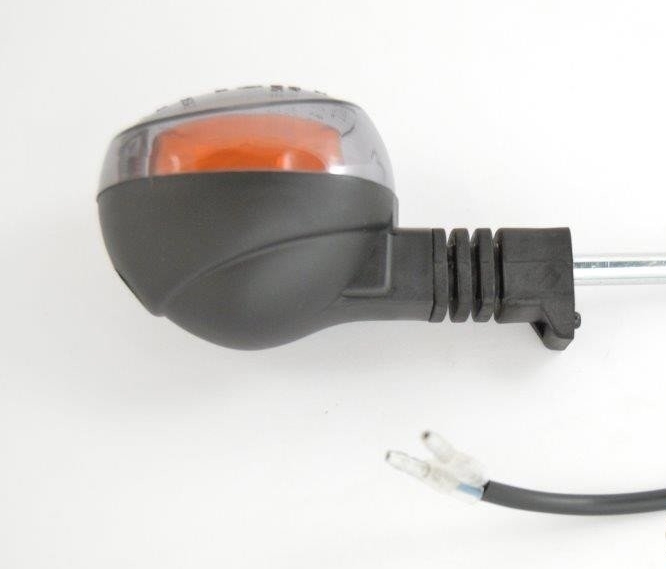 .....aaaand if you want smoked dark lenses for the V11 Sport/LeMans OEM signals, the Buell version used smoked lenses with an amber insert that snaps right on, and yes if you can still get them from HD. If not, I'm sure they can be found aftermarket. You can see the Buell smoked lenses on the photos of my bike. 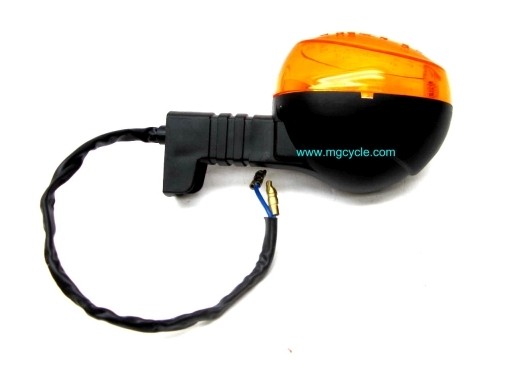 Here are some photos of the Buell version of our signals. It appears however while the lenses will swap over, and that the Buell versions have the "foot", that the actual mounting of the Buell version is via the wiring shaft and not a secondary screw.... unless there is also another Buell version that also uses the Guzzi/Ducati mounting method.